Well! After a fun weekend of sun and Easter candy, it’s back to tracking the catalogue world at The Second Disc. A hearty thank-you to Joe for his contributions over the weekend, and a welcome back to our loyal readers. A few release nuggets came through the pipeline over the weekend, so let’s clean house by getting some of them out of the way. More to come before the end of the day, so stick around! NME reported that a new Oasis compilation would see a U.K. release on June 14. Time Flies 1994-2009 will compile nearly all the band’s singles in their native land along with two bonus discs – a live CD of the band’s last concert and a DVD featuring all the music videos with audio commentary. So successful were the announcements of two deluxe Rick Astley titles that Edsel has planned another for May 3. 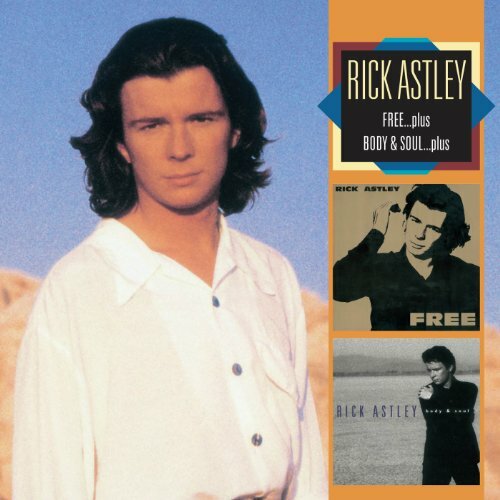 This new set features both Free and Body & Soul, Astley’s third and fourth LPs, with bonus tracks and new liner notes. Eagle-eyed ICE poster Alan noted in the latest issue of Guitar World a bit about the long-planned Legacy Edition of Stevie Ray Vaughan and Double Trouble’s Couldn’t Stand the Weather (1984). It’s said to include eight outtakes (four previously unreleased) and a bonus live disc recorded at a CBS Records convention in Hawaii in 1984. It’s slated for April 27, per the magazine – a close release date (considering the lack of official announcement) but a welcome one! The track lists and cover art for Time Flies and the Free/Body & Soul sets are after the jump. D’You Know What I Mean? At the same time, in terms of sequencing and just the overall listening experience, Stop the Clocks is just about perfect. I’d rather listen to that all the way through than any individual Oasis album.